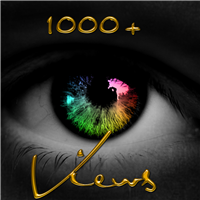 This is a group that is unlocked that is for all works of all worlds that have 1000 or more views. Pretty simple. :) Contribute on your own honesty and common sense if you don't have 1000+ Views on a work don't add it because it will get kicked. The one simple rule 1000+ Views is an absolute must to be eligible for the group.